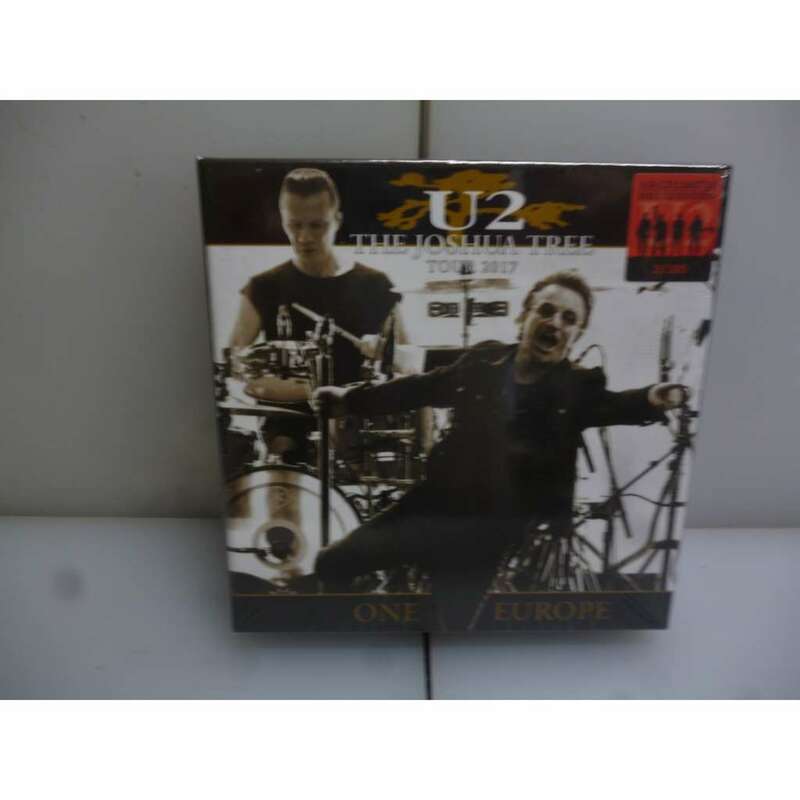 u2 - U2:one europe. the joshua tree tour 2017. europe 2017. eu 2018 ltd to 300 16cd boxset. U2: One Europe. The Joshua Tree Tour 2017. Twickenham Stadium, London, UK/Olympiastadium, Berlin, Germany/Stadio Olimpico, Rome, Italy/Stade de France, Paris, France/Stade Roi Baudoin, Brussels, Belgium 2017. Very Rare and Extremely Limited 2018 EU Deluxe Edition 16CD Boxset (13,5 X 19 X 3 cms). Contains a 20 Page Booklet with the Complete Tracklisting. Limited and Numbered Edition of 300. New. Sealed. DISC 1: TWICKENHAM STADIUM, LONDON, UK, 8/7/2017. DISC 2: TWICKENHAM STADIUM, LONDON, UK, 8/7/2017. DISC 3: TWICKENHAM STADIUM, LONDON, UK, 9/7/2017. DISC 4: TWICKENHAM STADIUM, LONDON, UK, 9/7/2017. DISC 5: OLYMPIASTADIUM, BERLIN, GERMANY, 12/7/2017. DISC 6: OLYMPIASTADIUM, BERLIN, GERMANY, 12/7/2017. DISC 7: STADIO OLIMPICO, ROME, ITALY, 15/7/2017. DISC 8: STADIO OLIMPICO, ROME, ITALY, 15/7/2017. DISC 9: STADIO OLIMPICO, ROME, ITALY, 16/7/2017. DISC 10: STADIO OLIMPICO, ROME, ITALY, 16/7/2017. DISC 11: STADE DE FRANCE, PARIS, FRANCE, 25/7/2017. DISC 12: STADE DE FRANCE, PARIS, FRANCE, 25/7/2017. DISC 13: STADE DE FRANCE, PARIS, FRANCE, 26/7/2017. DISC 14: STADE DE FRANCE, PARIS, FRANCE, 26/7/2017. DISC 15: STADE ROI BAUDOIN, BRUSSELS, BELGIUM, 1/8/2017. DISC 16: STADE ROI BAUDOIN, BRUSSELS, BELGIUM 1/8/2017. Multiple stereo IEM sources+original audience source=Matrix recording. 8 concerts in perfect sound quality. See backcover photo for details. Daily (Except Wednesdays and Sundays) shipment by registered air mail with tracking number on cardboard boxes and protection of bubble wrap, etc. We don't add any amount for packing.